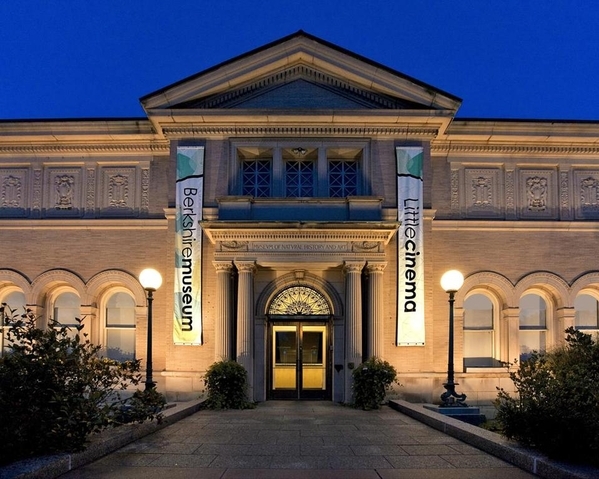 THE BERKSHIRE MUSEUM has been catching all kinds of hell ever since it announced this month that it will auction off 40 works of art from its collection, which focuses on art, natural history, and ancient civilization. The financially struggling museum hopes to raise $50 million from selling the artworks; it will use some of the proceeds to create a stable endowment and the rest to renovate its 114-year-old building in downtown Pittsfield. The decision, prudent and thoughtful, should put the Berkshire Museum, long a cultural institution in Western Massachusetts, on a stronger footing than it has been for years. Naturally, this has sent the great and the good into paroxysms of outrage. One prominent arts blogger, Lee Rosenbaum, slammed the Berkshire Museum for its "mindless" and "deplorable" decision. The American Alliance of Museums and the Association of Art Museum Directors, in a joint public statement, blasted the Berkshire's directors for being "a poor steward of their collection." The Art Newspaper warned darkly that when museums deaccession artworks "to shore up their finances," they are apt to find themselves "ostracized by their peers." Even the matchless arts critic Terry Teachout, ordinarily a tower of good sense, upbraided the Berkshire for "auctioning off a piece of Pittsfield's soul to the highest bidder." This abuse would be easier to respect if the Berkshire were gutting its collection, betraying its donors' terms, raising money to spend on management perks, or acting in haste. It isn't doing any of those things. The sale of the 40 artworks (among them two Norman Rockwells and pieces by Alexander Calder and Benjamin West) will still leave the museum with 40,000 artifacts, including thousands of other works of art. None of the items to be auctioned is encumbered by donor restrictions. The purpose of the sale is not to enrich museum insiders, but to improve its educational programs, put more of the collection on display, and provide greater access to low-income families. All this is in conjunction with a reimagined "New Vision" for the 21st century that the museum has spent two years working out in consultation with hundreds of community residents. Unlike the kibitzers throwing brickbats, the trustees of the Berkshire Museum have a fiduciary obligation to ensure the institution's survival. "We can't care for our collection if we don't exist," executive director Van Shields said. "We're facing an existential threat." For the past decade, the museum has wrestled with a structural deficit averaging $1.1 million annually. It would be splendid if an angel donor were to show up and solve the Berkshire's financial problems "with a single swipe of our keypad," Shields told a Boston Globe reporter. "But it's not going to happen." The heavy weather over the Berkshire Museum's plans is, in miniature, like the sound and fury that routinely erupt whenever someone in Washington proposes to pull back the government's runaway spending train. Year in, year out, Congress and the White House collude in driving the federal budget ever deeper into debt. In 2016, federal outlays surpassed $3.8 trillion, and the budget deficit was $585 billion. Spending this fiscal year is shaping up to be even more profligate. For the first time ever, Washington will burn through more than $4 trillion. 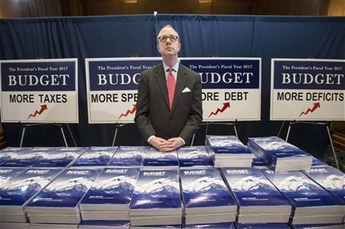 Of that, according to the Office of Management and Budget, $602 billion will be deficit spending — i.e., money the Treasury doesn't have and therefore must borrow. Such massive annual deficits have resulted in a gargantuan federal debt of $19.8 trillion — more than the entire annual output of the US economy. President Trump has no intention of spending less than his predecessor; for 2018, he is recommending a budget increase of more than $30 billion. However, the White House did offer a plan to increase expenditures a bit more slowly — and the reaction was a hair-on-fire freakout about spending being "slashed" and America being put "on starvation." Political leaders sometimes pay lip service to the fact that unrestrained spending is a looming national disaster. As a presidential candidate in 2008, for example, Barack Obama denounced the $9 trillion national debt racked up under George W. Bush as "irresponsible" and "unpatriotic." Soon after taking office, he convened a "fiscal responsibility summit" and addressed it bluntly: "We cannot simply spend as we please and defer the consequences. . . . You don't spend what you don't have." In fiscal year 2017, the federal government will, for the first time, spend more than $4 trillion. Of that, $602 billion will be deficit spending — i.e., money the Treasury doesn't have and therefore must borrow. But that's exactly what he ended up doing, just like his predecessor and (so far) his successor. Neither Republicans nor Democrats ever muster sufficient backbone to cut anything from the federal budget — their fear of controversy and condemnation inevitably outweighs the benefits of downsizing the behemoth. Meanwhile in Pittsfield, men and women entrusted with the future of the Berkshire Museum are willing to make hard choices. They recognize the brute reality politicians ignore: When everything you want costs more than you can afford, there are some things you must give up. When your financial situation is untenable, refusing to correct course is reckless. And if people who disagree with your decision pillory you with threats and insults? You deal with it, courteous but firm. The Berkshire's trustees take their fiduciary obligations seriously. Someday, perhaps, Washington will too.